Scott Carty is an Entertainment and Lifestyle Correspondent, seen on The Daily Buzz (120+ million households) and in Seattle on KOMO TV (ABC). Scott can also be heard on KOMO Newsradio in Seattle, in addition to his digital presence across social media and YouTube that’s branded as The Scott Carty Party. Known for his relaxed, conversational and fun interview style, Scott has connected with a long list of big stars for memorable moments. Stars realize Scott values them as real people living extraordinary lives. During interviews, Scott has sipped cocktails with Charlize Theron, Morgan Freeman and Sam Elliott; he has laughed with Will Ferrell and Amy Poehler; he became a Spice Boy in a viral hit directed by Mark Wahlberg in London. Scott has also talked with Oprah Winfrey, Leonardo DiCaprio, Reese Witherspoon, Hugh Jackman, Jennifer Aniston, Harrison Ford, Jennifer Lawrence, Octavia Spencer, Matt Damon, Julia Roberts, Matthew McConaughey, Kate Winslet, Helen Mirren, Kevin Costner and Steven Spielberg. You know, just to name-drop a few. 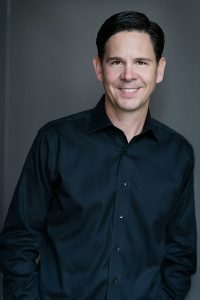 Scott is a voting member of the Broadcast Film Critics Association (BFCA) and he is a Voice Actor heard on numerous voiceover projects for radio and TV commercials, interactive media, and computer gaming. He serves on the Seattle Children’s Hospital Purchase a Miracle Executive Advisory Committee and volunteers with Forefront to promote suicide prevention.